The British Aural Terrains label was founded in 2007 by composer-pianist-harpist-sound artist Thanos Chrysakis, now based in Belarus, as a platform for like-minded composers-musicians who work with the experimental terrains of sound. 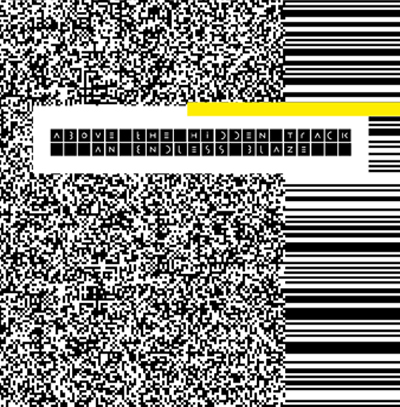 The aim was, and still is, to disseminate exploratory contemporary music in its different manifestations - electroacoustics, composed and improvised music. 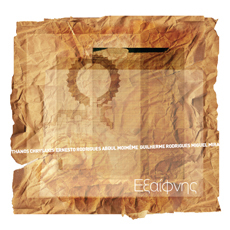 The four albums of this label and another one that feature the Chrysakis in a free-improvised setting by the Portuguese label Creative Sources represent the many possibilities of these sonic searches and researches. Israeli composer and sonic artist Dganit Elyakim debut album offers an overview of her works, beginning with compositions dated to 2000 and concluding with recent ones from 2015. Most of her compositions were performed and recorded at the experimental space HaTeiva in Jaffa, Israel, where she curates the concert series ‘The Unbearable Lightness of Coherency’, featuring some of the most adventurous musicians from the local scene. 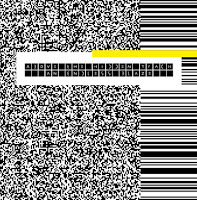 Elyakim compositions confront digital-based media - assorted MIDI protocols and algorithmically based behaviours of the electronics platforms, with musicians who improvise or interpret her notated music. Often, her works are performed in collaboration with dancers, video artists, theater and experimental film artists. Failing Better, a paraphrase on Samuel Beckett (“Ever tried. Ever failed. No matter. Try Again. Fail again. 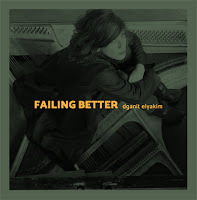 Fail better”), is full of humor, provocative sonic inventions, and inventive usage of conventional instruments and vocals. “Lentils (2006)”, where she narrates a poetic, introspective reminiscence of wounded family relationship, is one of the most impressive compositions. She transforms the emotional turmoil into a sonic storm of acoustic piano, percussion, live electronics, and wordless operatic vocals. Her guided improvisation dedicated to bass clarinet player Yoni Silver, “One On 1.1 (2006, 2015)”, where she plays with him on live electronics, emphasizes the intimate manner that acoustic instrument can improvise with an electronics-based texture, both keep exploring new sonic depths and territories and shift almost telepathically between dynamics and moods. “Lewdness (2005)”, based on poetic texts from the Biblical Songs and Songs and Israeli poets Yona Wallach and Alexander Pen, deconstructs the syntax of the original, suggestive texts in a way that charges them with surprising, ironic perspective. “The Next 31 Seconds of Your Life (2015)”, dedicated to viola player Ayelet Lerman, is the most provocative composition. It begins with about 30 seconds of almost unbearable white noises but it succumbs into two and half minutes of deep silence, that illuminates its noisy introduction in a Cageian way, and resurfaces with a gentle recitation of Beckett text, resonated with gentle electronics. Highly original and always inventive. Warmly recommended. 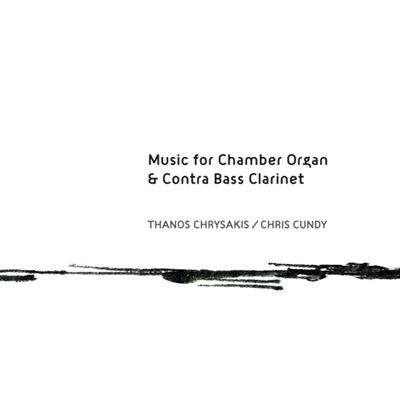 A collaboration between label founder Chrysakis and British experimental composer, reeds, woodwinds player, and painter Chris Cundy (whose artwork used for the cover). The duo was recorded at the chapel Francis Close Hall Campus in Cheltenham on June 2014. Cundy has worked before with master improvisers as pianist John Tilbury and double bass player Dominic Lash and has performed with eclectic musicians as the DJ Moby and guitarist-songwriter Vieux Farka Touré. 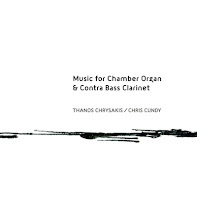 The two offer a five-part minimalist sound-poem where the deep-toned voicing of the bass clarinet assimilates with the sonic spectrum of the pipe organ, and vice versa, until both instruments transform into some kind of abstract sound generators. The distinct timbral colors of the bass clarinet sound now as resonating, vibrating and extending the suspended, meditative playing of the organ. This kind of focused, complementary interplay stresses the contemplative and subtle spirit of this recording, creating a coherent sonic unity. Another collaboration between Chrysakis, now playing laptop computer, synthesizer and radio sounds, and Cundy, again on the bass clarinet, with London-based electric guitarist James O’Sullivan, a regular in percussionist Eddie Prévost's weekly improvisational workshops, recorded on November 2013. This is a set of six free improvisations, each one attempts to offer a common ground between the three parallel sonic universes - the otherworldly sounds and noises of the laptop and the synthesizer, the deep-tones, short breaths of the bass clarinet, and the metallic, resonating strumming and hammering of the strings of the electric guitar. Again, the atmosphere is reserved, the interplay is patient and subtle, slowly structuring and destructuring the tension, offering arresting and rich soundscapes. Some of these improvisations, like the second one or the tortured fourth one, even gain suggestive cinematic qualities, as their interplay is colored with detail and nuance. 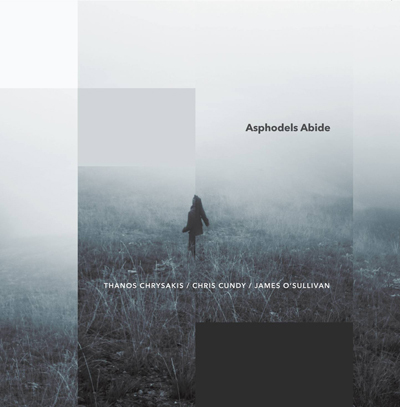 This album matches Chrysakis, playing the piano and the harp, with Portuguese viola player Ernesto Rodrigues, cellist Guilherme Rodrigues, double bass player Miguel Mira (who plays the cello in sax player Rodrigo Amado Motion trio), and electric guitarist Abdul Moimême. This free-improvised session was recorded in Lisbon on January 2015. These three improvised pieces, totalling a dense 27 minutes, work an impressive and profoundly rich, all-strings sonic spectrum. This patient, methodical investigation of the unique, shared timbral spectrum, the physical characteristics of the stringed instruments and their wooden bodies keeps exploring more and more nuanced layers, detailed colors and shades and vibrating-resonating overtones. All the instruments sound as one, massive unity, organically fit in the ever expanding sonic puzzle that reaches surprising depths in the longest, and most minimalist and quiet third piece. This time Chrysakis offers a solo set of short 13 manipulated electroacoustic textures that he composed, mixed, and mastered by between October 2012 and July 2013, while staying at the Centre for Composers in Gotland, Sweden. There is no explanation about the work process or instruments or devices used for this recording. Still, these textures offer a unique and provocative sense of space, time, and sound, blending supposedly real and warm natural sounds with highly manipulated, processed, and synthesized distant sounds. These inventive and subtle textures quite often create a bewildering and claustrophobic atmosphere where all known linear conventions and sonic architectures are about to dissolve into imaginary sonic liquid lava. Others offer more crystalline and gentle sounds that hint at possible but well hidden melodic veins, while a few, such as “Perpetual Movement”, surprise with an urgent, densely packed energy.